Michael Hartley Freedman (Los Angeles, 21 de abril de 1951) é um matemático estadunidense. 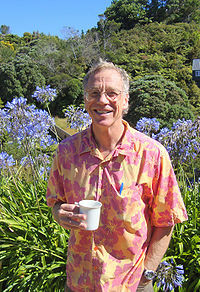 Michael Hartley Freedman: The topology of four-dimensional manifolds. Journal of Differential Geometry Volume 17, 1982, p. 357-453. Michael Hartley Freedman, Frank Quinn: Topology of 4-Manifolds. Princeton Mathematical Series, Volume 39, Princeton University Press, Princeton, NJ 1990, ISBN 0-691-08577-3. Esta página foi editada pela última vez às 21h48min de 25 de outubro de 2018.